From Wednesday, the payment company is to begin contacting essay-writing firms, giving them notice that they should "move their business elsewhere". But this will not be an "overnight ban" - as there will be debates over which services are helping students to cheat and which are offering legitimate tutoring assistance. This is a business that operates across national borders - so PayPal says there will need to be an international response. University leaders have warned repeatedly about the risk of so-called "essay mills" being used by students to cheat. The move by PayPal was welcomed by the higher education watchdog, the Quality Assurance Agency (QAA), which had written to the company in November, calling on them "to close down the payment facilities for the essay-writing companies that encourage students to cheat"..
"This decision is a huge step forwards in the battle to close down these unscrupulous operators," said the QAA's head of policy and public affairs, Gareth Crossman. "Essay companies rely heavily on payment platforms like PayPal to process students' orders. Removing this facility will significantly hamper their operation. "Essay companies remain a huge threat to the academic integrity of UK higher education," said Mr Crossman. The education secretary had said the QAA identified 17,000 academic offences in 2016 - but it was impossible to know how many cases had gone undetected. 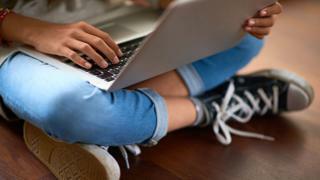 "Sadly there have always been some people who opt for the easy way, and the internet has seen a black market in essay-writing services spring up," said Mr Hinds.